Connect with CHEBWA on Facebook! Please fill out the contact form below that addresses your needs. We are busy homeschool moms and we will respond to your questions as soon as we can. Thank you for contacting us! Diana Ward will be answering your submission to this form. Diana is the current leader of the C.H.E.B.W.A. support group and has been homeschooling for five years. Anna Shafer will be answering your submission to this form. 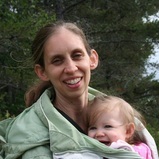 A mother of six, Anna has been homeschooling for 9 years.